It's trick or treat time AND it's tutorial time. Tracy here and today I'd like to show you how to make a very simple treat holder for some Halloween goodies or any other time you might need to package a treat. 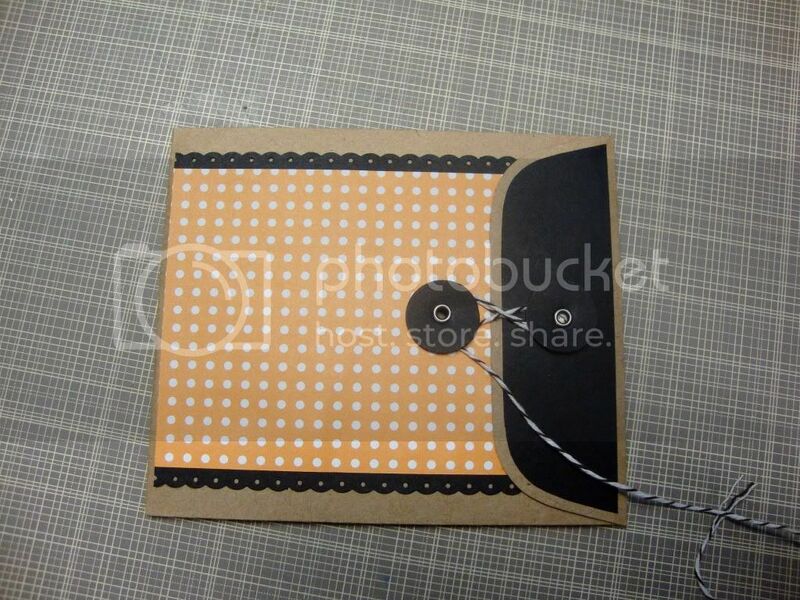 For this project you'll need a Lunch Bag Kraft #10 Open End Policy Envelope, Bakers, Twine, cardstock, embellishments of your choice and a couple of eyelets. 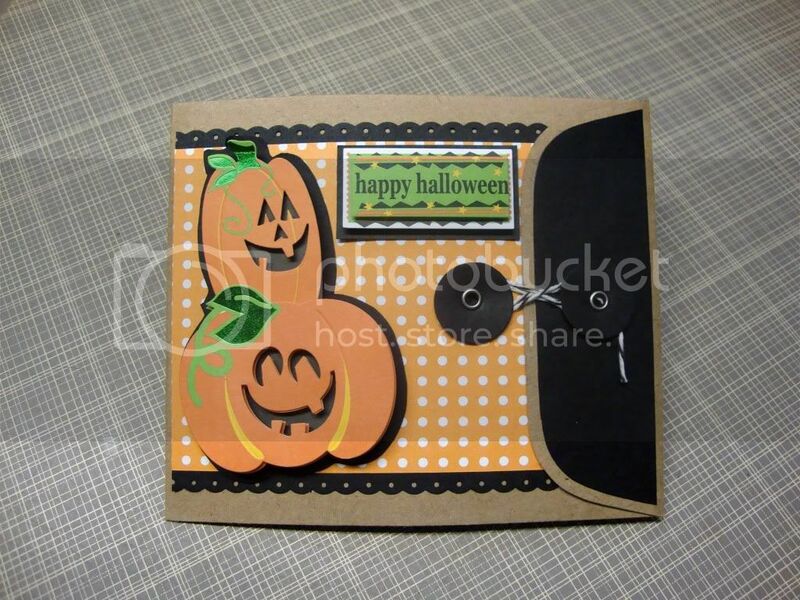 In this photo I've covered the front half of the envelope and the flap with cardstock. Once you have those two pieces covered you can add your envelope fasteners by using some punched circles, eyelets and bakers twine. 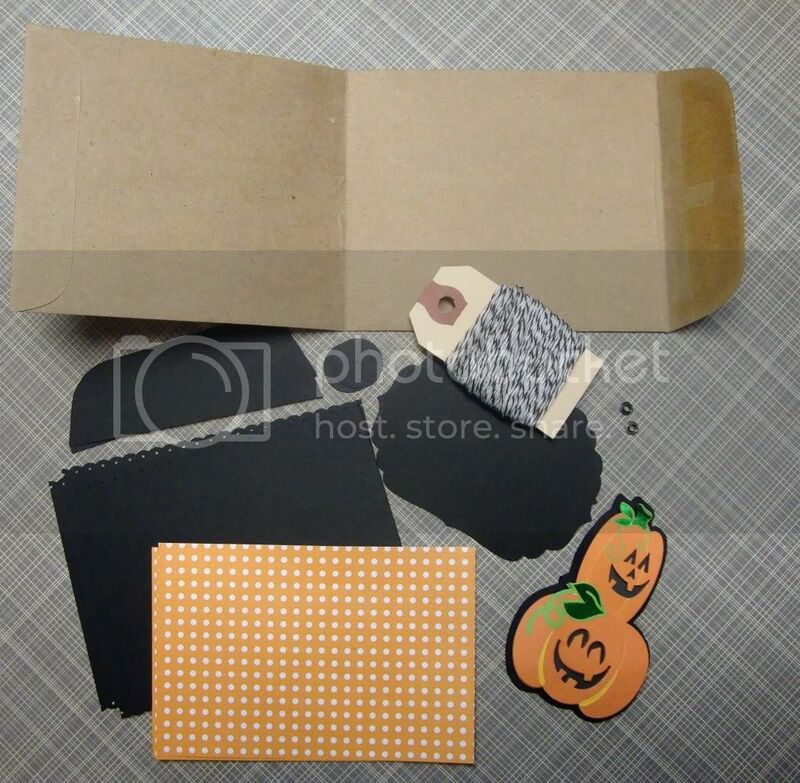 Next you'll decorate the inside of the envelope with more cardstock and there's your pocket all ready and the perfect size for those little fun size treat bags. Hope you've decided to play along with our "Spooky Stuff" challenge this week. We'd love to see your projects! Happy Krafting and don't forget that there is still plenty of time to join our "Spooky Stuff" challenge this week. To learn more and to enter your project click on the "Current Challenge" link located in the upper right of our sidebar! oh my, I love this and will have to get some of those envelopes!